Finding the best 6x9 speakers isn't really an easy task. I mean, there's so many brands and models, which ones are going to perform best and last the longest? High-quality speakers for cars are typically not budget friendly, but for those with a tighter budget, I've also included a few good choices for the money. As far as speaker brands go, Hertz Audio is one of the more respected. As such, this set of 6x9 units is a bit higher priced than most of the others that we are going to look at today, but the reason for that is because you are getting so much better results. First and foremost, the HCX 690 Speakers are built a lot more solidly than anything else on the market. With a power range of up to 260 watts, you can easily hear the difference as the tweeter and woofer set delivers a crisper and more dynamic range. Best of all, because of the strength of the materials, you can blast your music without risking any damage to the internal components. As you also notice, the frequency response and sensitivity of these speakers are phenomenal. While most other 6x9 units have a rating of about 90 decibels or below, these take it up to 92. While we have seen more sensitive speakers than that, the fact is that that’s a perfect number as it is sensitive enough to register low volume noise without risking blowout at higher pitches. Part of that is the wider frequency response, which is so much better than most other 6x9 speakers, as you will see later on this list. Overall, while the price of these speakers is somewhat high, we have to still recommend them because of the durability and the reliability of the components you’re getting. From a vibration proof magnet cover to a dampened mesh fiber cone, you are getting the best of the best. Simply put, while other 6x9’s will have to be replaced much sooner when you listen to your music on full blast, these speakers will keep on kicking for years to come. As such, you have to think of them as a long term investment for your car. Best of all, because they are easy to install, you can take them with you when you buy a new vehicle. This are in my opinion the best option for bass​, given the great range of frequencies, power and quality of build. If you’re looking for something a bit simpler and more cost effective than the Hertz Audio Speakers above, then this set from Morel might be a good choice. In this case, they are two-way speakers instead of three, meaning that you don’t get as dynamic of a range of sound, but they are still far superior to what is in your car already. If you’re not familiar with two and three way systems, these consist of a tweeter and a woofer, while three-way speakers have an extra component for the midrange. However, to combat this lack of dynamic sound these speakers have a higher power rating than most, meaning that you can crank up the volume without risking damage to the internal components. What we like most about these speakers is the way that they are designed. Most people will assume that two-way models can’t compare with three and four-way ones, but the fact is that Morel has created a system where the woofer and tweeter complement each other in such a way that you can almost recreate the results of a three-way system without having to pay for the extra components. At most volumes, you won’t be able to tell a significant difference, but at some pitches, it can be a little more noticeable. The other reason that the sound coming from these speakers is so good is that they have a built-in crossover system that is better than most. This ensures that the highs and lows are blended more seamlessly so that your music becomes a lot crisper and refined than if you had something more basic. Definitely the option for sound quality in this size if you want my opinion. Very hard to beat the crisp sound of this Morel speakers. As we mentioned, these will blow your current speakers away, so if you want an upgrade but don’t want to pay for extra stuff, then these are a great buy. Next, we have another set of speakers that are built to be as simple yet effective as possible. Rockford Fosgate is one of those brands that can seem to do no wrong, and these speakers are a testament to the company’s ability to make the most out of everything. At first glance, you may think that these devices are not going to deliver anywhere close to what you can get from a Hertz Audio HCX 690. While that may be true for most audiophiles, the fact is that if you are not a musical purist, you probably won’t be able to tell much of a difference with these than with something more high end. The reason that the Punch P1692 is so good is that it uses high-quality materials. While these aren’t exactly on par with those found in something like the HCX 690, they are still much better than most cheaper 6x9 speakers out there. This RF set is in my opinion the best 6x9 speakers under $100 you can get. You get a mineral filled and polypropylene injected mold and a rubber butyl surround. These components work together to deliver a smoother transition sound that ensures that your midrange and peaks don’t become too harsh. While other companies may use lesser materials that will hiss and pop a lot at certain frequencies, you don’t get that nearly as much with these. The biggest downside to these speakers is the limited power range. We would like them better if they could handle more than 75 watts RMS because as they are you may be able to blow them out if you like to listen at high volumes on a consistent basis. On the flipside, lower RMS values are easier to power and don't require that much of a big amplifier. As you can see, the frequency response is also more limited, so some bass and some higher pitched sounds can cut off sometimes. Overall, though, if you are looking for a simple and easy to install upgrade, these speakers can do just the trick. While true audiophiles may not like the range, if you’re not a purist then you should be just fine with these in your car. So far, we’ve seen speakers that are either two or three way regarding surround sound capabilities. In this case, however, the A-Series from Pioneer is a four-way system, which means that you get a richer and fuller sound every time, trading some SQ for that. This is both illustrated in the higher power range and the larger frequency response. When you compare the stats to other speakers on this list, you’ll notice a big difference between them. As a result, we highly recommend these speakers to anyone who wants a more dynamic range of sound for their music. Having an extra mid-range component means that you can get a better feel for guitar riffs and bass lines that would otherwise get blended on a two or three-way setup. Simply put, these speakers are built for music aficionados who really want to hear each part of the song rather than have it all mixed up. The other reason that we like these speakers is that of the higher power range. This means that not only can you pick out more sounds from the added components but you can crank it up more often without getting any distortion or risk of a blowout. Although we don’t recommend getting your speakers to peak power very often, the RMS range is more than sufficient for most volumes, including those on the higher end of the spectrum.The final thing that we like about these speakers is the fact that they are super easy to install. The Pioneer TS series is one of my favorites, and I also recommend them as some of the best 6.5" speakers for their extremely high value for money. Some of these units require a bit of know-how to get them into your car properly, but these units are designed to slip right in without any problems. They also come with sturdy grills so that they are protected from damage or accidental bumping that can occur from time to time. If you are a true audiophile, then you are probably familiar with the brand JBL, and this set of three-way speakers from them are some of the most well built we’ve seen. As a result, you get a lot more sensitivity and power range from these speakers than you do with most other units, including those on this list. The secret to the robust reliability of these speakers is the material used in creating them. JBL has built the GTO938 with a unique blend of Mylar and titanium, which results in a material that is both super lightweight and yet incredibly durable. Since this is at the core of the speaker, it can handle a lot more than something of similar size and weight from another brand. As you can see, the power range and sensitivity are far greater than some of the other models we’ve seen, and you have the My-Ti material to thank for that. While the material itself is already durable, JBL takes things a step further by putting each speaker through rigorous testing. Not only they toss them around to test the physical strength, but they also make sure that they can handle temperature and environmental changes as well. Thus, if you live in an area that gets hot and humid, you don’t have to worry about it affecting your speaker that much. Overall, this attention to detail is the reason that these speakers can handle so much abuse without breaking or blowing out. Finally, the shape and design of these units make installation a breeze. You don’t need any special tools or equipment to get them into your car, so whatever you use to take out your old speakers will be more than sufficient to get these in. We’ve already seen what kind of performance Rockford Fosgate Speakers can deliver, and this next installment is no different. However, as you will see, the Prime series is something of a step down from the Punch Speakers above. The reason for this is that these speakers are not built to handle excessive power spikes, which means that high and low frequencies will get cut off. Thus, at first glance, you may think that these are a bad buy, but the fact is that, like the Punch series, these speakers are not built for true audiophiles. Overall, they are designed for people who want to upgrade their current system but have a tighter budget and don’t care about getting the best or highest quality parts. Cost is probably the biggest selling point of these speakers, which means that if you are on a tighter budget, then you can get these without any problems. To make things even easier for you, they are super easy to install and can be placed in your car within minutes, provided that you know what you are doing. 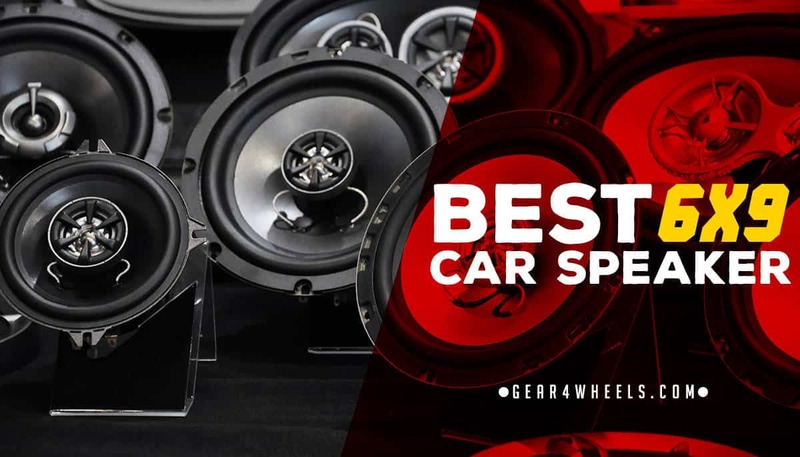 Overall, these speakers are much better than what comes in your car, so if you are looking for a simple and cost-effective solution to get an improved system installed, then these can be a great answer. However, if you are a sound purist who wants to be able to crank up the volume and hear each part of the music, then these speakers are not for you. That being said, these are certainly not bad units, and they can still provide a lot of enjoyment for most audio enthusiasts. A good 5 channel amplifier will move this speakers and a subwoofer nicely without expending too much money on the setup. As long as you aren’t too concerned about listening at high volumes, you should have a great time with these speakers. Our final stop is with these D-Series Speakers from Kicker. We’ve seen a lot of high-quality models so far, but what sets these apart are the slim design and the incredible power range. Also, because these are three-way speakers that means that you get a fuller and more dynamic range of sound to create a much more fulfilling experience overall. The feature that we like most about these speakers is the ultra-slim profile. They have zero protrusion, meaning that they will be flush with your car’s paneling to make for a much sleeker and less noticeable install. Some 6x9 speakers can be rather cumbersome and stick out quite a ways, which means that they can get in the way and knocked around on accident. In this case, however, that is never a problem. Installation is also a breeze, meaning that not only can you get them into your car without any hassle but whenever you switch for a newer vehicle you can easily take these with you. The other thing that we like about these speakers is that they have an excellent power range. Although the frequency response leaves a bit to be desired on the top end, the fact that you can crank up the music without damaging the internal components means that these are a great addition to any vehicle. Additionally, the crispness of the sound is incredible, especially given the price point of these units. Overall, if you want something stylish, affordable, and reliable, these are a perfect choice. Although they don’t have quite as much power range or frequency response as some others we’ve seen, where these speakers really shine is their reliability and durability. We appreciate the fact that you can blast your music without damaging anything (except, maybe, your ears). Overall, they have to be my pick for the best 6x9 speakers to buy in 2017. Hey what do you think is Kicker 43DSC69304 a good speaker ? I am planning to buy a speaker for my car and this is the speaker that has brought my attention. Can you tell me if i make a good decision? Thank you.